If choose this, will it create something greater? Um….where is my question in that? The difference? In the first one, “Well they worked so well for everyone else, maybe they will work well for me”, I am thinking, not at all following my knowing. How do I know that? There is an uncertainty, a kind of indecisiveness. I am totally coming from my head. In the second one, “if I hire this person, will it create something greater? If I hire this person, will it add to my bank account? If I hirethis person, will it create something greater for me?” I totally get “NO!”. It’s instant knowing. No thinking. I just know. And it’s super light! No judgment of the person or their abilities. No judgment of the people who hired this person and their choices. It’s just not the right choice for me. Period. So…I wonder….how many of you out there follow the crowd without even realizing it? 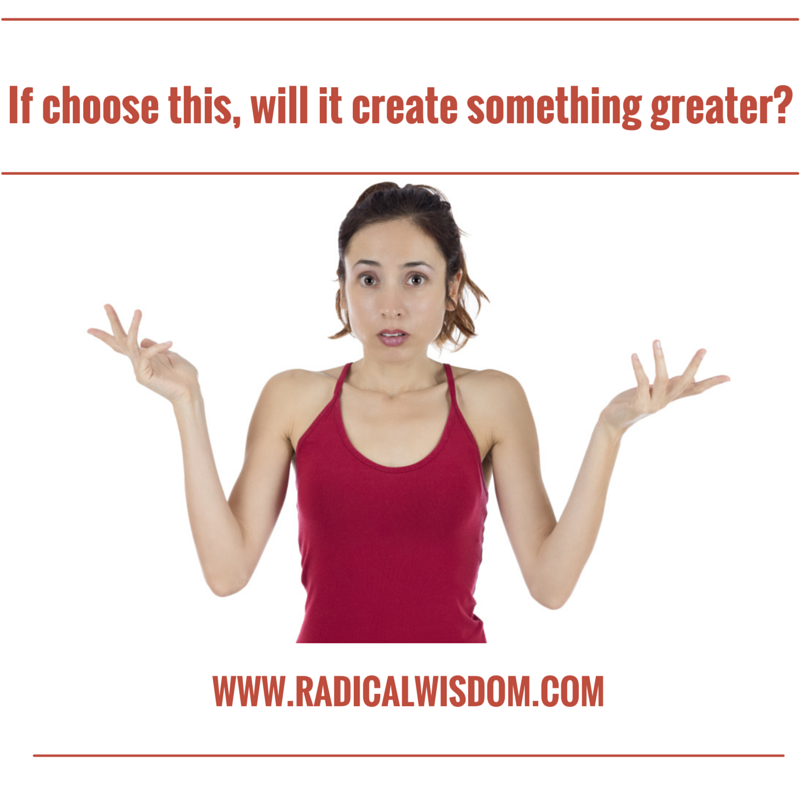 What if you could really truly ask a question like, “if choose this, will it create something greater?” and then just for you, no need to explain, justify or even tell anyone, choose whatever works for you. Loving you all the way to awareness and beyond!